The condition of this Waukesha chimney was a severe hazard for the homeowners and the home itself. Extreme cracking and deterioration of the Waukesha chimney cap and a complete absence of a chimney flue cap left this chimney exceedingly vulnerable. With a large hole in the chimney cap and the lack of a Waukesha chimney flue cap, there was nothing keeping moisture from entering the chimney. Moisture intrusion can lead to wood rot, ceiling leaks, and even the development of dangerous mold spores, causing thousands of dollars in repairs. Furthermore, with a large hole in the Waukesha chimney cap and no chimney flue cap small animals could easily build nests in the chimney. The Waukesha chimney cap repair specialists at Wisconsin Chimney Technicians stepped in to save this Waukesha chimney from further damage. A new chimney cap installation and Waukesha chimney flue cap installation by the Milwaukee chimney repair technicians were performed just in time to save this homeowner from tremendous repair costs down the road. 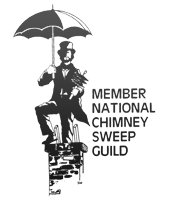 Not all Milwaukee chimney issues are this apparent, and we recommend annual Wisconsin chimney inspection services to make sure your chimney is in optimum condition for the cold Wisconsin winter. 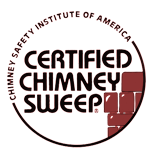 Contact the best Waukesha chimney repair company for expert Milwaukee chimney repair services or to learn more about our Wisconsin chimney inspection services.